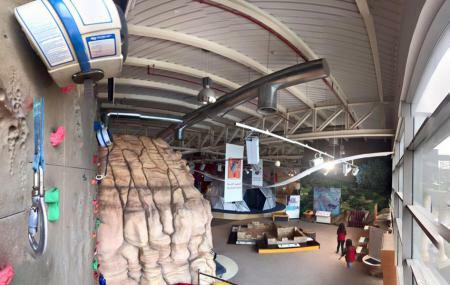 This is one of the best children's museum on the planet. It is an initiative of Queen Rania, next to the Royal automobile museum. With over 150 exhibits spread over more than 7000 square meters, this is the world's first interactive Children's Museum. Additionally, there's also a library, and art studio, and a nature exhibit in The Secret Garden. Other exhibits include the imagination playground, and aquarium, an exhibit dedicated to the conservation of energy and water, a history exhibition called Ancient Times, an exhibit on space, an exhibit on the human body, light and optics, a miniature model of a city, and what is probably the most favorite among its visitors - a flight exhibit complete with simulators and the scientific set ups that made flight possible. Check the museum calendar for upcoming events online. People normally club together The Royal Automobile Museum and City Mall while planning their visit to Children's Museum. The museum is located inside Hussein Park. It's huge and has immense knowledge. Perfect for kids b/w 5 to 12 age. But younger kids also get to have fun activities. The entry fee is 3 JOD per person. However it's free to enter on the first Saturday of every month. Great place for your enthusiastic kid and it has many indoors and outdoors activities to be done for your kids and for all ages.. For a reaonable price you can get a membership, which allows you to there with the family, any day for free.. Very professional employees and they always greet you with a smile and are very helpful.. It has a nice and clean restaurant.. If you have kids that are 2 to 12 this place is a must! The kids get to play and learn through different activities and exhibitions. The staff is really friendly. There are activities about the human body, mechanics, enviroment and habitats, light, space, magnets, electricity, layers of the earth, a mini bank and super market and a giant blocks area. The museum also has a weekly schedule for activities , art shops, theater shows and other activities. The museum opens all week except for Tuesday. Cool place and highly recommended, I attended a business event their but I know for a fact that it is an amazing family friendly place for kids. we must go there once a year at least. you can visit in winter but its really better in summer because kids will get to play outside also.